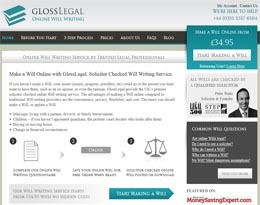 GlossLegal provide an online, questionnaire based Will writing process with expert guidance to help you decide who will receive your property and other assets. 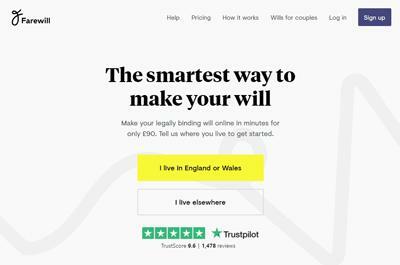 This short questionnaire enables you to create a bespoke and legally binding Will which is checked and prepared by a Solicitor. If you need help or have any questions, the legal team is just a phone call away. The entire process requires no financial commitment and can be saved for future reference for free. 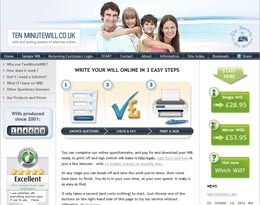 As soon as you’re satisfied with your instructions, you can then purchase your Will for a fee as little as £34.95. 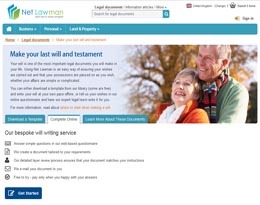 Following your purchase, glossLegal’s team will then review your information, prepare your Will and post it to you if you choose a Premium Will, or you can download the Simple Will. If you choose the Premium Will option, you’ll receive a fully bound, high quality solicitor prepared document within five working days for your safe keeping. This is only a brief summary of the the glossLegal Will writing service. 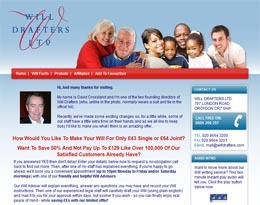 Please visit the official website for full details by clicking here. Although we make every effort to ensure our review of GlossLegal is accurate and up to date; prices, terms and conditions are subject to change. Therefore reviews may be dated, partial or inaccurate; and should not be solely relied upon without conducting your own independent research before deciding to make a purchase or other course of action.